What a lovely thing to revisit ROBIN AND MARIAN — I hope any of you who did so agree. 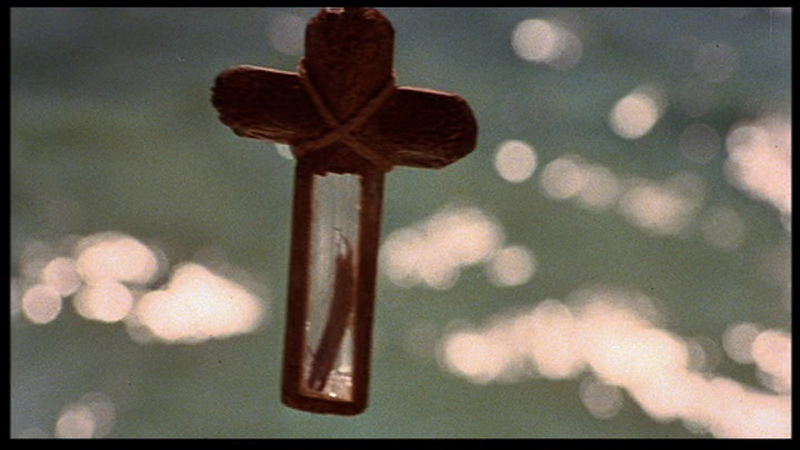 I found the film deepened with time, which doesn’t make sense so I suppose it must be me. A disturbing thought. Let’s just jump in, shall we? 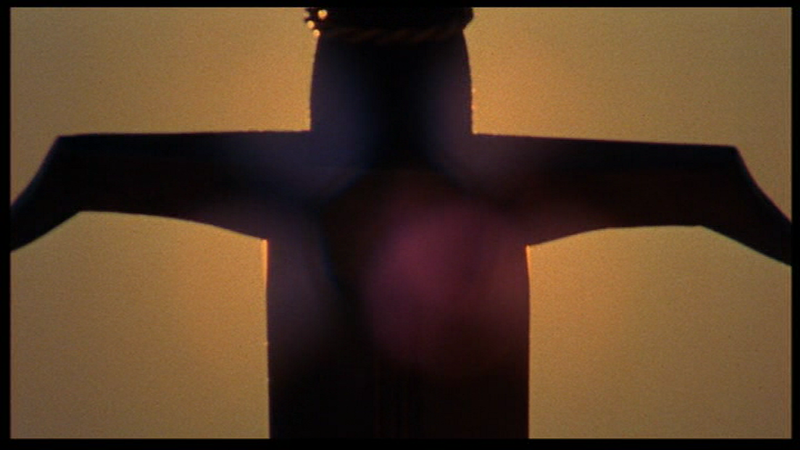 I love the opening montage of ripening and rotting fruit, with the sword held like a cross against the sun, the nervous vulture, and the one-eyed visage of Esmond Knight, a veteran both of WWII and the film’s of Michael Powell (I wonder which was more traumatic?) — he plays the Old General in BLACK NARCISSUS, the film director in PEEPING TOM (where the fact that he was actually blind may have been a wicked joke) and even turned up in THE BOY WHO TURNED YELLOW, staying loyal to Powell even as late as 1972. Knight lost his sight in the war, but courageously continued to act, and his actual lack of an actual eye gives his work here a daunting physical reality. But he’s also ferociously committed and fiery. And then we meet Robin Hood and Little John, two dour Scotsmen. What do you do about Sean Connery’s accent, anyway? 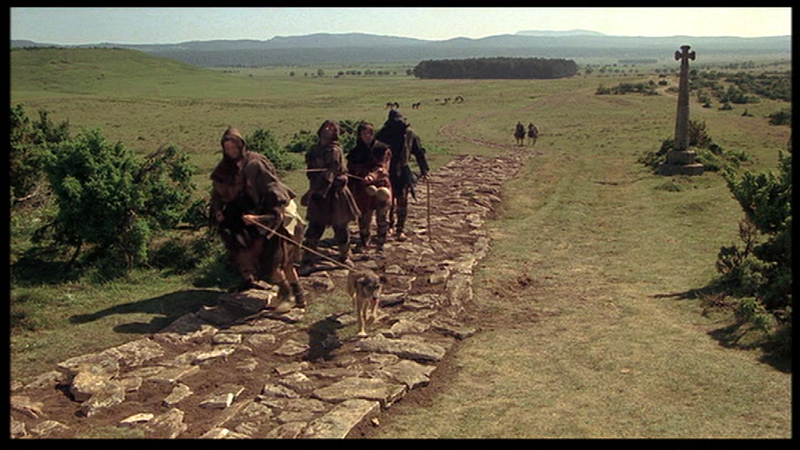 Various attempts have been made to deal with it (John Milius, on Connery’s Arab in THE WIND AND THE LION: “We just assume he learned English from a Scotsman.”) but this one is quite extreme: all the Merrie Men have Scottish accents, although Nottingham is a pretty long walk from here. 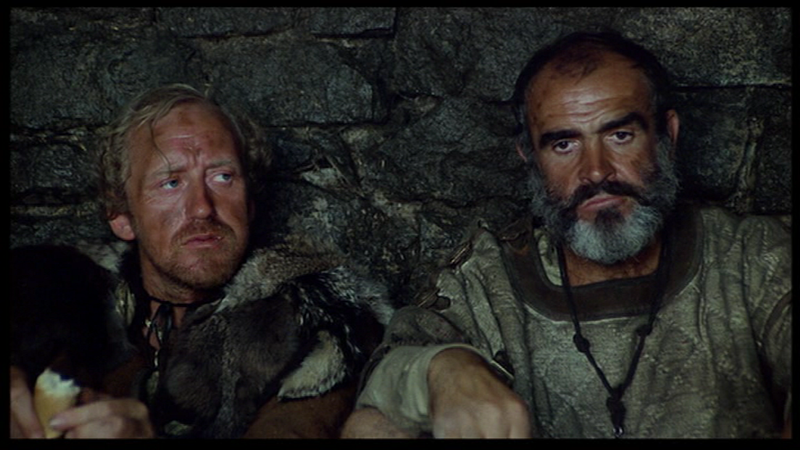 Sean Connery, nevertheless, is ideal casting here, and Nicol Williamson makes a brilliant Little John, glum and philosophical (daring heroes need reflective sidekicks). Lester felt that ROBIN AND MARIAN went wrong in a few different ways, so he made CUBA with Connery again to make up for it. Unfortunately, everything went wrong on CUBA, and Connery vowed never to work with Lester again, which is an awful shame. As brilliant as he was in his Sidney Lumet films, for my money he’s even better in CUBA and R&M. 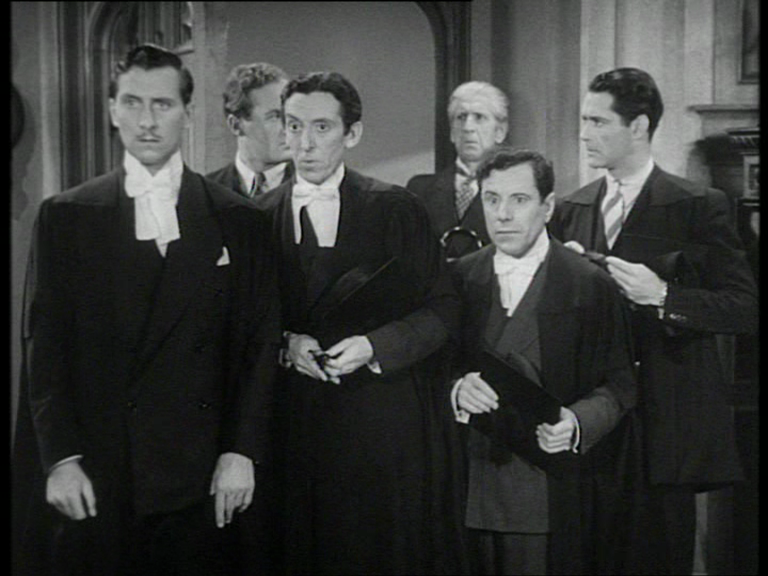 Williamson is the first of the movie’s hard drinkers. A friend of mine who worked alongside him in THE WIND IN THE WILLOWS (1996), to date his penultimate film, said he was just barely functioning. Williamson is known as a bit of a wild man… I hope he’s still together. On this shoot he caught the company spy phoning the day’s events back to producer Ray Stark in LA, so he tore the phone from the wall and threw it in a toilet. And I think tried to flush it. 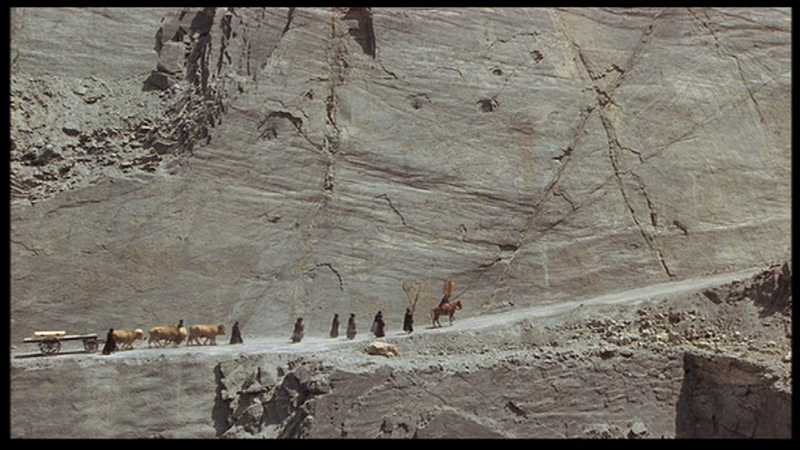 The opening events of the movie, set in France at the end of King Richard’s crusade (but filmed in Spain for tax reasons), concern the quest for a mythical treasure, which turns out to be a carved rock. 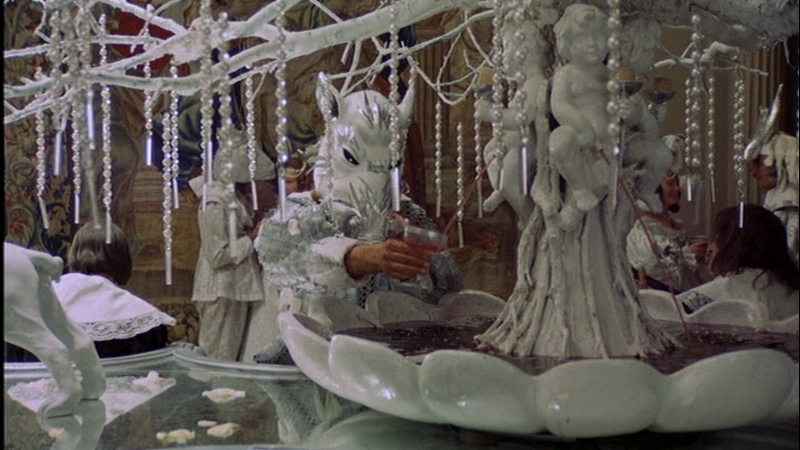 This is James Goldman’s way of establishing one of his key themes: the characters in the movie are fighting over myths. Arguably the whole crusade is mythologically motivated, and later Robin will attempt to recapture a glory he knows was never really his. Lester’s historical characters are often concerned with their place in history (“We’re gonna be famous!” declare Butch and Sundance in Lester’s prequel, before being caught in a freeze-frame that irresistably recalls their deaths at the end of George Roy Hill’s original movie), and this often makes them comical or tragical rather than seeming to possess any particularly useful foresight. 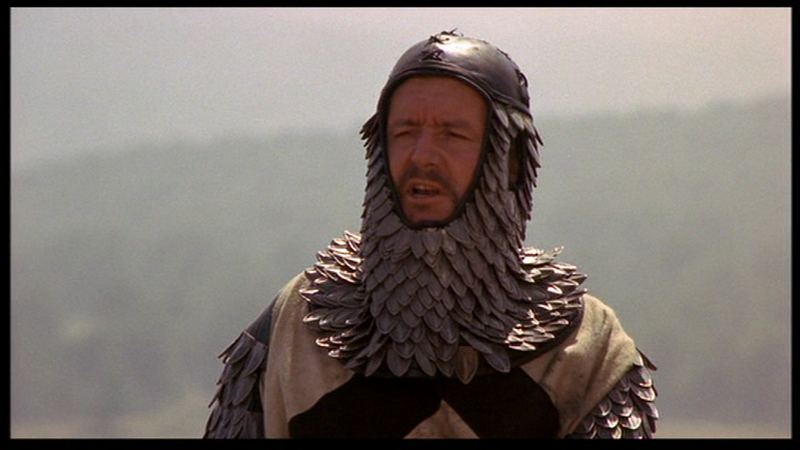 Now Richard Harris rides up. Another drunk, and another actor Lester worked with twice (maybe once wasn’t enough, but twice was?). The hero of JUGGERNAUT is a villain now, but in his brief time onscreen there’s a really remarkable relationship drawn: Robin is devoted to this tyrant, even as he tries to guide him towards a more humane course. The conscience of the king. It’s rather moving… but nothing compared to the messed-up relationship stuff that’s to come. I love the stuff with Robin and John in jail, awaiting possible execution. Delightfully written in itself, it also encapsulates the central idea of the film, the theme of old age and approaching death. Lester had been offered a range of projects, and he seized on R&M after a one-sentence pitch: “Robin Hood in old age.” “That’s it, that’s for me!” he declared. Little John reminisces about how his father lived in own small town all his life. “I’ve met a king, traveled half the world, seen Jerusalem… although the sand was blowing and the walls were miles away.” He sounds like a disappointed tourist. Absolutely the greatest single image of 1976. King John’s court: gay courtiers, a castrato singing, and a man with a duck on his shoulder. We’ve already had CARRY ON regular Peter Butterworth as a barber-surgeon, faffing over the King’s fatal injury, and we also get Bill Maynard as a knight — the cream of British acting, padding the background. Harris’s last scene is a stormer, he’s somewhat out of control, but still effective, as only he could be. He tries to run Robin through and ends up collapsing in his arms. “What will you do without me, Jolly Robin, now I’m dead?” On other words, end of prologue, beginning of Act One. Realism and surrealism are interchangeable in Lester — it may seem odd that King Richard’s coffin is drawn by oxen, but at the same time it’s not implausible. Exposure to the mishaps and desperate improvisations of live television’s early days instilled in the director a vivid sense of the presence of the absurd in the everyday. Meticulous historical research allowed him to create moments of madness with an authentic edge. Merrie England! A sudden blast of green — ace cameraman David Watkin discovered that the same filter than boosted the tones of the parched Spanish countryside also faded Sean Connery’s inappropriate Marbella tan, so it was win-win. Unlike the weedy woods in ROBIN HOOD: PRINCE OF THIEVES, here we see a long-shot of a gigantic forest, somewhere a band of outlaws could realistically disappear, or wage guerrilla war on government forces. And here we meet the other two famous Merrie Men, Friar Tuck, he of the amusing spoonerism, and Will Scarlett, the one everybody forgets about. Tuck should by rights have been played by regular Lester funnyman Roy Kinnear, but for some reason isn’t, so we get Ronnie Barker, a TV legend, in one of his few major movie roles. When I met a sound mixer who’d worked for Lester, he described him as “a very clever man,” with a slight air of suspicion, as if that wasn’t what one expected to be dealing with in films. Barker said the same thing in his autobiography, going on to observe that when, during the dub, Lester suggested adding an ad-lib line, Barker protested it wouldn’t work because his lips weren’t moving onscreen. “no one will notice,” claimed Lester, who was fond of stamping all his films in this way, but Barker held firm. The result was that Lester redubbed the whole performance, using another actor, David Jason, who ironically would later co-star with Barker in a popular British sitcom, Open All Hours. Will Scarlett is the great Denholm Elliott, who returned to work for Lester in CUBA. Another confirmed alcoholic, Elliott swiftly discovered a Spanish monastery where the monks concocted a potent home brew of their own devising. Elliott swiftly moved out of his hotel and into the monastery (perhaps also for the male company?) but somehow managed to find his way to the set everyday and perform his screen duties admirably. 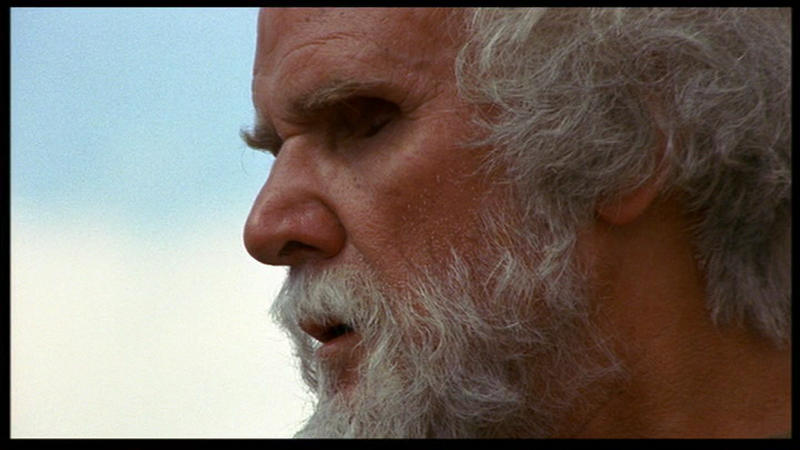 I like how Shaw’s cowl makes him seem like a monk. Meanwhile, we meet Robert Shaw, the last of our quota of boozers, as the Sheriff of Nottingham, nominally the film’s villain — but in fact, he doesn’t perform a single villainous act in the whole film. He’s learned to read, he seems to be administering the district’s laws as fairly as he can, under a weak and despotic king, and is really about the only character in the film who’s both good at his job and capable of doing some good for the country. Until Robin blunders in and spoils everything. An early clue to the new direction. With Shaw is Kenneth Haigh as “the oaf,” Sir Ranulf de Pudsey, the one major character not drawn from the Hood legend. Maybe they could have used Sir Guy of Gisbourne as their baddie, but that character has a history with Robin, and it’s important that Sir Ranulf is ignorant of what he’s fighting. It might actually have been better if the knight were played by a younger actor, boosting his rivalry with the Sheriff, but Haigh is very good. He’d worked for Lester before in A HARD DAY’S NIGHT, refusing a credit because he was afraid acting in a pop musical would harm his career. He was happy to be named here though. Lester was unhappy with Shaw’s performance throughout filming, but couldn’t get him to change it — reading between the widely spaced lines, I think Shaw was pissed as a newt — so he called him back in after to re-dub every single line. Shaw was horrified by what he saw onscreen and couldn’t stop apologising for his sloppy work. Lester found the end result, the laid-back, slightly listless appearance and the tense, taut voice, “absolutely electrifying.” I’m inclined to agree. We do find Shaw looking a bit uncoordinated at times, but really, it’s not a problem. Enter Audrey. 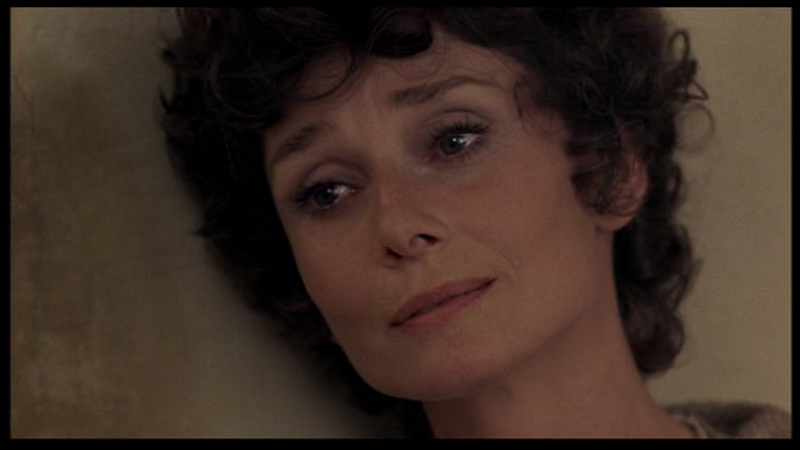 Nervous at returning to the screen for the first time since WAIT UNTIL DARK nine years before. It wasn’t the happiest of shoots for her. Lester works fast, and doesn’t let anyone see the rushes (he doesn’t go himself, either). 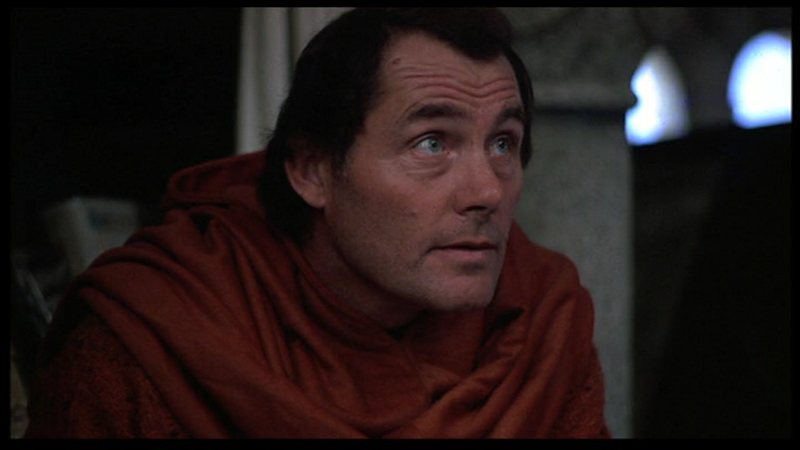 Sometimes actors feel rushed (Anthony Hopkins didn’t enjoy JUGGERNAUT for that reason). Sometimes, if Lester knows he has a good first half of a take one, and a good second half of a take two, he won’t shoot a take three in order to get it perfect because he knows he can cut them together. And actors often don’t like that. Some directors would shoot another take just to please them — not Lester, who would feel physically ill if he didn’t complete every set-up on the day’s schedule in time. As far as budget and schedule go, the most reliable director in the business. Of course Hepburn looks stunning, but of course, after nine years away, she worried about how she would look. She asked cinematographer David Watkin how he would light her. Watkin wasn’t a Hollywood-style glamour photographer, he was a self-trained “primitive.” He told her, “You’ll just have to take your chances with the rest of them, luv.” Not really the most diplomatic answer. ALL the big R&M scenes in this had us on the brink of tears, if not actually plunging over the cataracts into weepy helplessness. 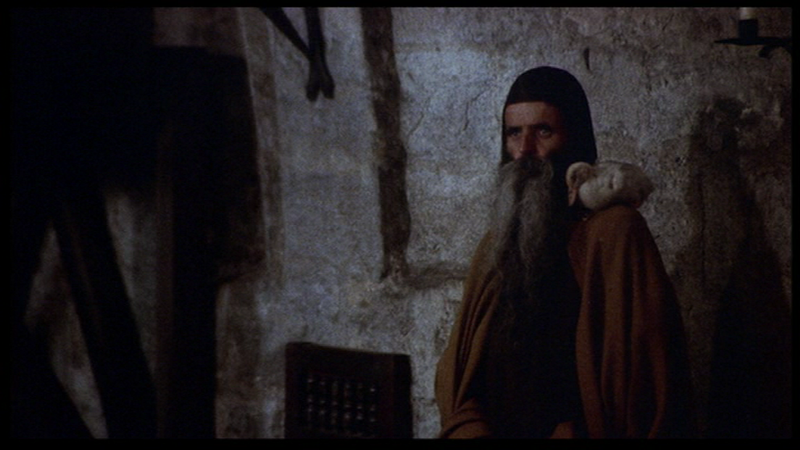 Lester does get to indulge his atheistic side, debunking the church’s role in the crusades even as he allows the lovers to catch up on their recent history and grow closer together (Lester is almost as anti-clerical as Bunuel, although without the edge of obsession). 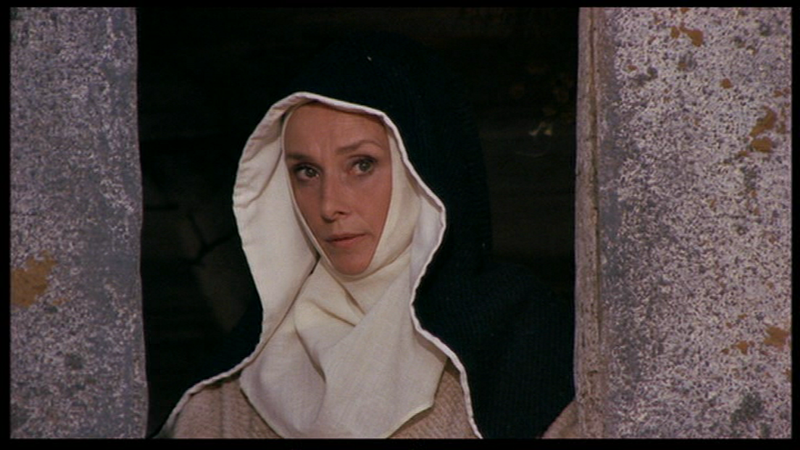 The first big action scene is motivated by the need to rescue Marian’s fellow nuns from the Sheriff, leading to some brisk comedy and painful violence, and the protracted escape up the portcullis — “The swashbuckling excitement of old men climbing a wall,” as Fiona put it. On the one hand, the slow, miserable struggle upwards, emphasizing the characters’ age, is pretty much the opposite of what we expect from a Robin Hood climax. 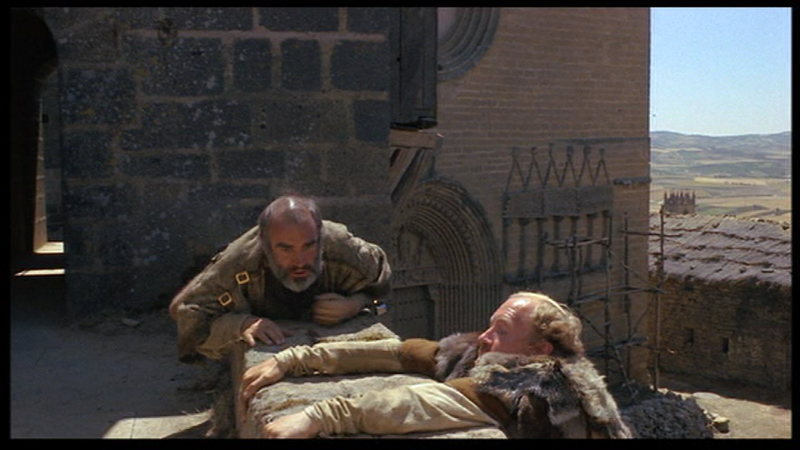 One the other, the struggle atop the battlements, once they eventually get there, is like a key scene in the Douglas Fairbanks ROBIN HOOD, as rendered by Peckinpah. I know Lester viewed every Musketeers film he could get his hands on in preparation for his own, so I expect he was similarly thorough in preparing for this. And in each case, very little direct influence can be found, the research being more about what to avoid. I just love the way David Watkin’s long lenses fragment the dappled light in the backgrounds of close-ups. 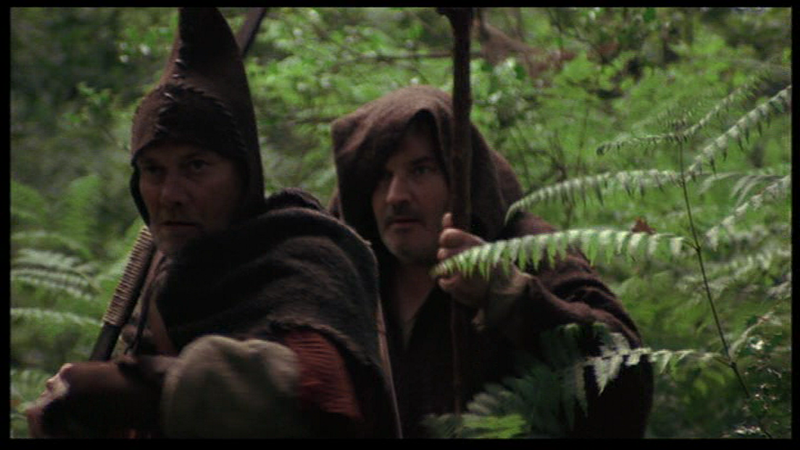 Ian Holm as King John, who’s always the baddie in Robin Hood films but here is basically a querulous pup — his weakness and stupidity push the story towards its tragic ending without him having to show any competence as a villain whatsoever, which is pretty pleasing, since the movie has already turned Richard into a bloodthirsty psychopath. 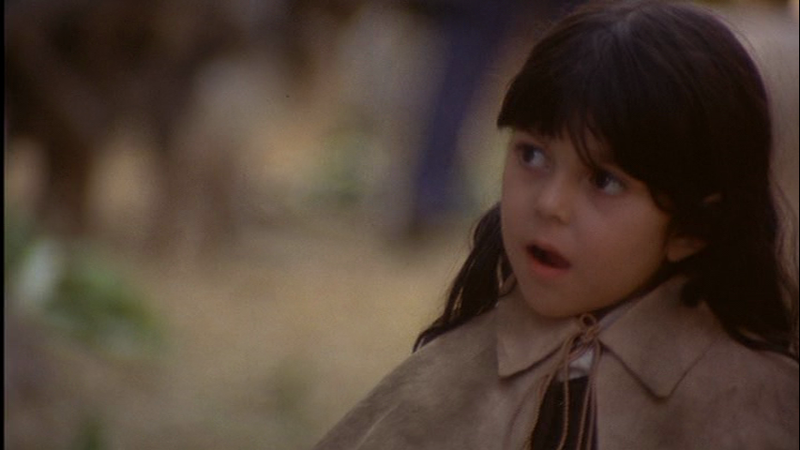 Also in this scene (1) Fiona’s favourite exchange in the movie: “Where’s the king?” “In the biggest tent, or course.” and (2) Victoria Abril as the King’s pre-teen bride. She’s credited under her real name, Victoria Rojas, and she wholeheartedly plays the character as a half-witted sexpot. The final battle — a lovely detail where Robin helps the Sheriff up after they’ve been kneeling in prayer. Hard work, moving in that armour. The fight is realistically slow and exhausting, the only element of movie exaggeration being that they probably fight for longer than any two men could while wearing full armour and carrying broadswords. The bloodstained grass around them is an eloquent touch. It’s fascinating that Lester had such success making action movies in the 70s an 80s, when he rarely if ever moves the camera. I’m not sure but I don’t think there’s a single tracking shot or crane movement in R&M. 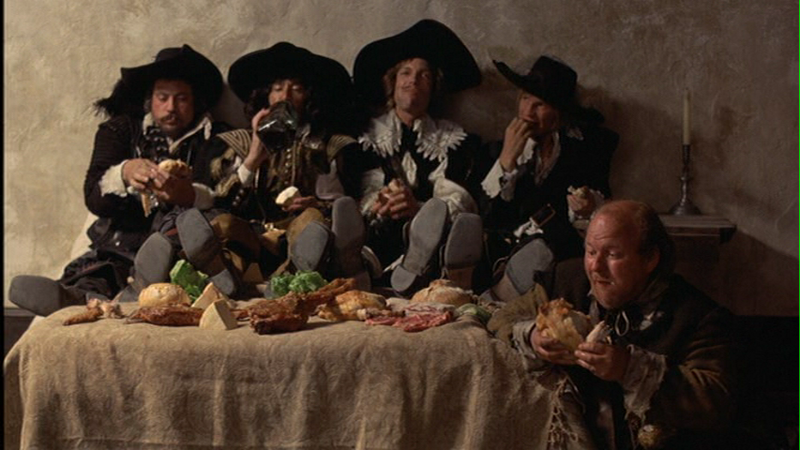 There are about two apiece in the MUSKETEERS films. Lester was dumbfounded that he had a reputation among critics for visual pyrotechnics and “fast camerawork” when he was known in the industry as somebody who never required extra tracks. His theory is that he creates an impression of speed by crowding the edges of the frame with movement. 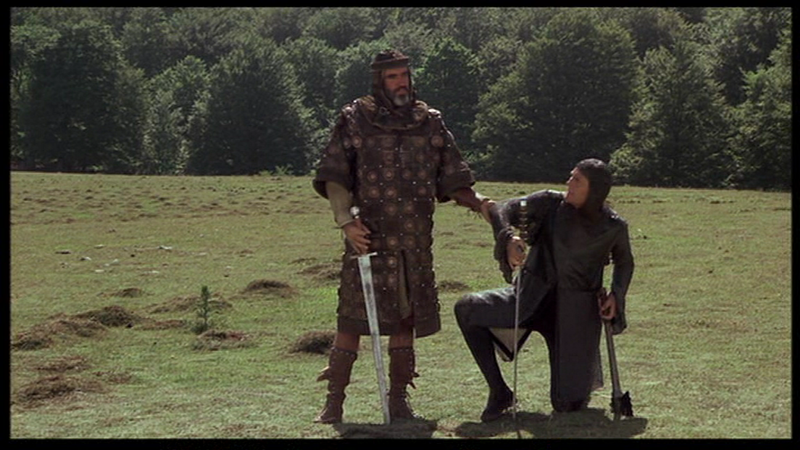 This final duel is a model of clarity and restraint compared to the incoherence of modern fight scenes. And it’s not even overly concerned with being “exciting” — it takes the mature view that if the action IS exciting, then just watching it is enough, and if it isn’t exciting, no amount of jiggle and swish will add drama. Really, the fight is painful, earnest, anxiety-provoking and desperate. 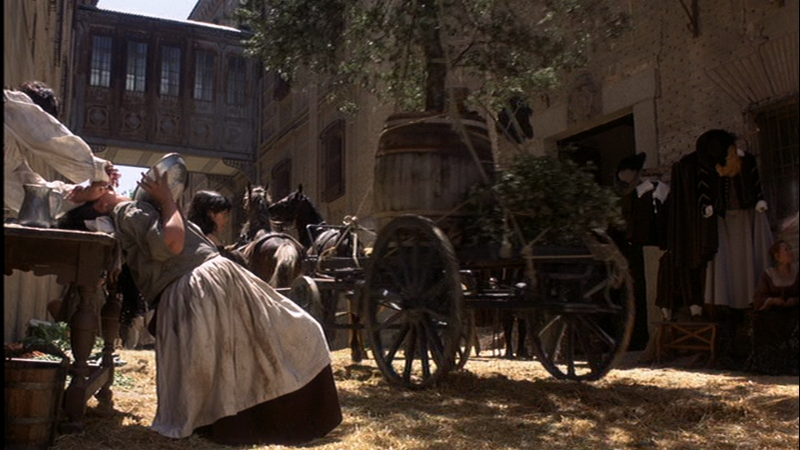 The Death of Robin Hood is a major part of the legends, but nobody before or since seems to have filmed it. Robin fires an arrow and asks to be buried where it lands. (In the legend, it’s another woman who poisons him: this version improves on the folk tale, and Robin asks for Marian to be laid by his side.) Connery fires the arrow out the window and it simply disappears into the sky, in a moment critic Neil Sinyard rightly calls screen poetry.